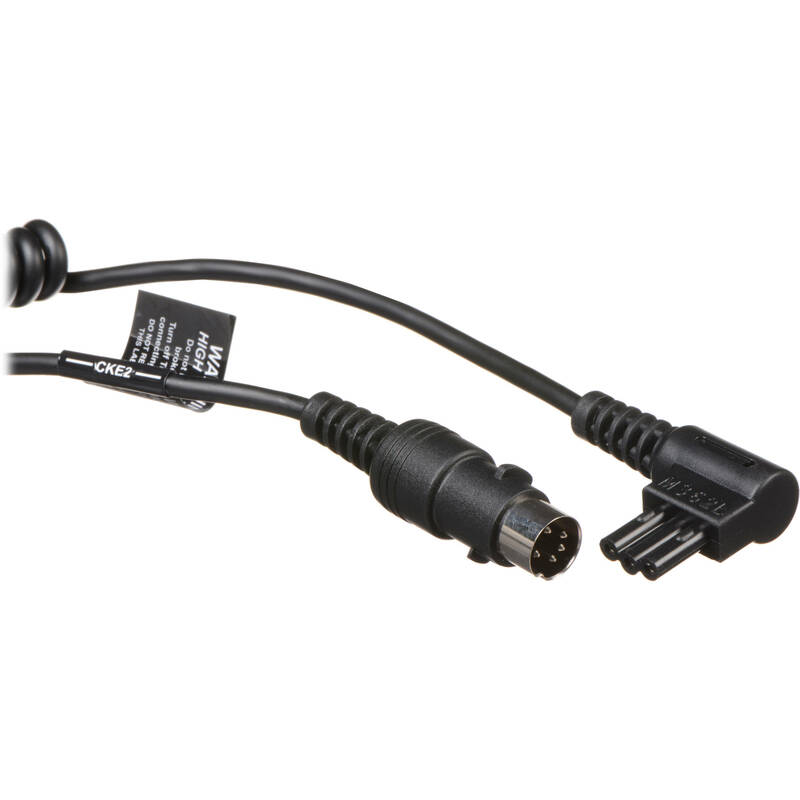 The Quantum Instruments CKE2 Power Cable will allow a Turbo series battery pack to power a compatible Contax, Nikon, or Nissin flash. It also has been updated with a locking feature that keeps the cord locked into Quantum Turbo 3 Battery Pack sockets, preventing the chance of it falling out while shooting. This coiled cord can be stretched out to approximately 6.0'. Length Approx. 6.0' when fully stretched out. Box Dimensions (LxWxH) 4.3 x 3.3 x 2.3"
CKE2 Power Cable for Turbo Series Battery Packs is rated 4.6 out of 5 by 40. Rated 3 out of 5 by Dan from Beware if not used with Turbo 3! I have the Turbo SC and the only Quantum cable I could find was this one. The instructions say it works with any turbo battery but the locking mechanism is only supported with the Turbo 3. Okay, fine, BUT, when it's plugged into the Turbo SC battery it sticks out much higher than the cable that came with the Turbo SC and as such is a terrible mechanical connection and the added height will and does allow the cable to work its way out. I am trying this one: Paramount PM-CKE Connecting Cable for Nikon/Quantum/Lumedyne As an alternative because according to the picture it doesn't have the tabs. Rated 4 out of 5 by Anonymous from Does the job well This cable and its connectors will stand up to a lot of abuse, which is good because cables always seem to get the worst of it. The price seems a bit high to me, but Quantum's products have been met photographers' needs so well that they have lots of pricing leverage. At least one review mentioned burning out strobes. All Nikon strobe instruction manuals, including that for the SB-800, specify a maximum number of shots before you need to let the flash cool down. I've kept to those constraints, and never had a problem. Rated 5 out of 5 by Georgia from Save batteries!!! I wish I'd thought of this sooner. I started using my speed lights more and more and felt guilty about all the batteries I used and threw away. So I read up on how to use my Quantum turbo battery with my Nikon speed lights and with these cables it was so much easier than expected so now I don't have to use as many batteries and the recycle time is way better too. Rated 5 out of 5 by photo frank from great for a large groope Works great with my Nikon Sb910 and my and my quantum turbo. Rated 5 out of 5 by Pennie from Quality Cable Quality cable very durable with nice connectors. Rated 5 out of 5 by r3koehler from It's a Cable Use with Turbo SC and Nikon SB800. Works as expected. Nice tight fit, solid construction, and good length. Cable coils short enough to keep out of the way and is long enough to stretch from the battery pack on my hip to the top of the camera when shooting. As I said in the title, It's a cable, performs the job as such. The cable head on the CKE2 measures 9mm. Will this work with the Nikon SB-5000?